Hear the term “fashion blogger” or “style influencer” and you probably imagine a slender millennial woman posing in a designer outfit in front of a colorful mural. But over the last couple of years, women who jammed to Boyz II Men back when they were still boys have entered the game. Sisters of all sizes rock the fiercest ‘fits and prove that slayage only gets better with age. 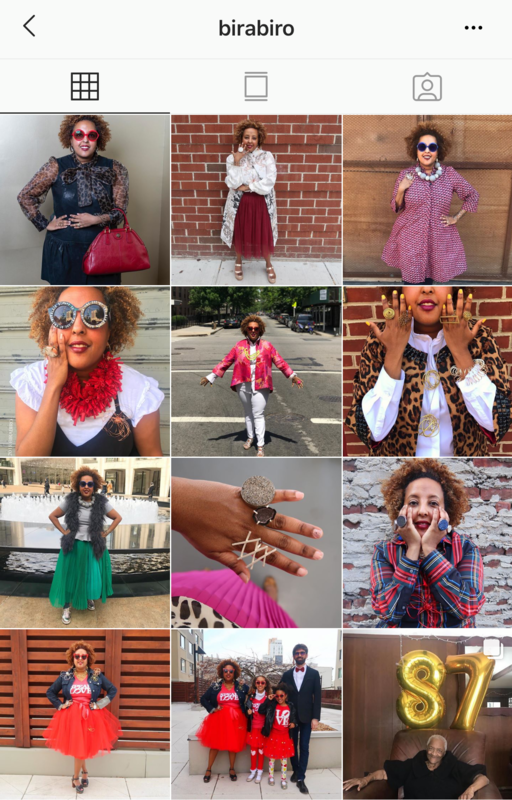 Get hip to these sisters from across the country – all of them 35 or older – who serve up daily inspiration on their fashion-forward Instagram feeds. “I’m a time-enriched woman who is fun, funky and ageless,” says this former Londoner, who favors simple shapes, bold patterns and bright colors. She often styles her poses with a cup of tea in hand. Inspired to imitate her style? 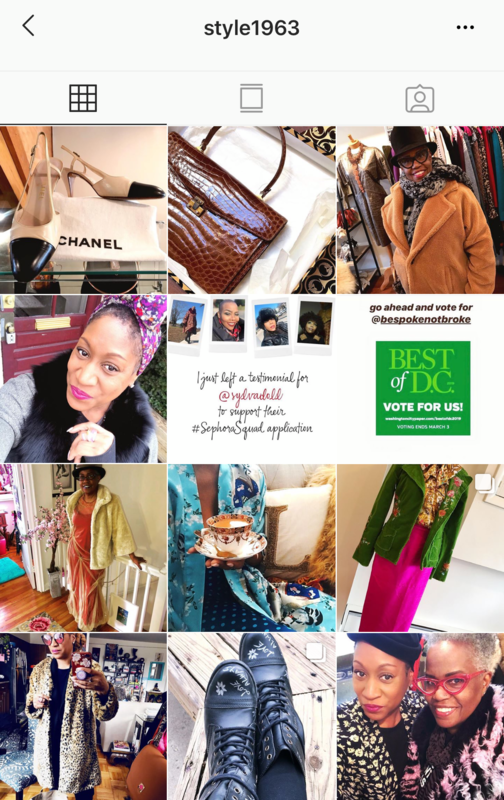 Swipe her other Insta account, @maylanascloset, to purchase Alleyne’s picks of vintage, new and pre-loved clothing. 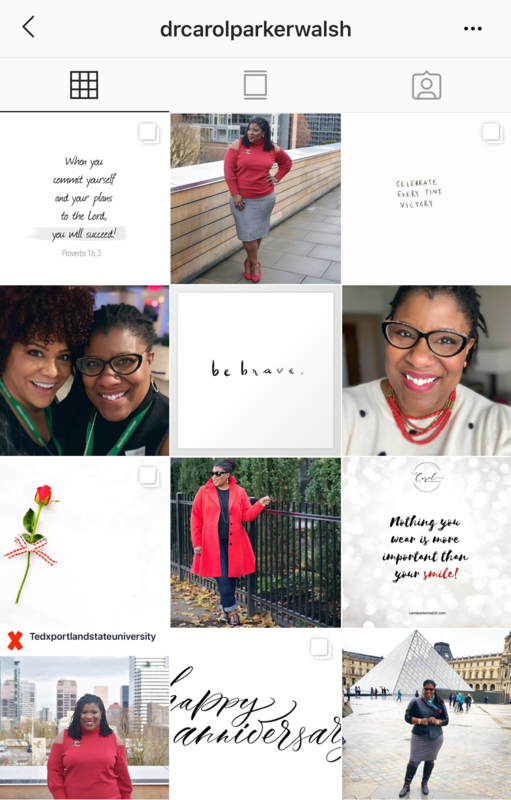 This fifty-something’s fun-loving personality and love of fashion is obvious from her feed, which features her in everything from floral pants to cascading maxi dresses to a bunny costume. Glover clearly loves accessories (she has an enviable collection of hats and handbags) and we adore how she rocks a bold red lip. This Ethiopia-born attorney, wife and mother never fails to delight us with her quirky ensembles and freeform ‘fro. Her fashion formula: Combine colorful separates or form-fitting sheath dresses with a pair of stylish spectacles. She then piles on bold jewelry she makes herself using metals, semi-precious stones and felt. This art director’s site, TheJadoreCouture.com, explores the intersection of fashion and design. 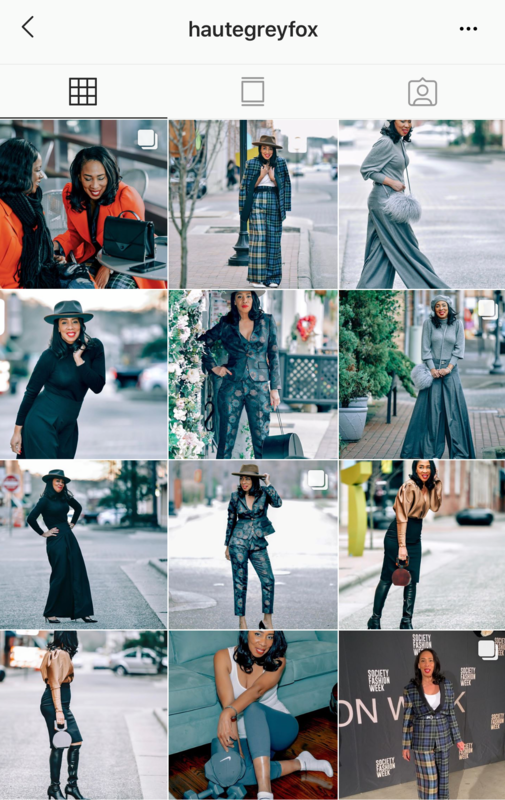 Her Instagram feed shows off Mitchell’s personal esthetic, which mixes masculine elements (think blazers and boyfriend jeans) with feminine, such as sequins and lace. 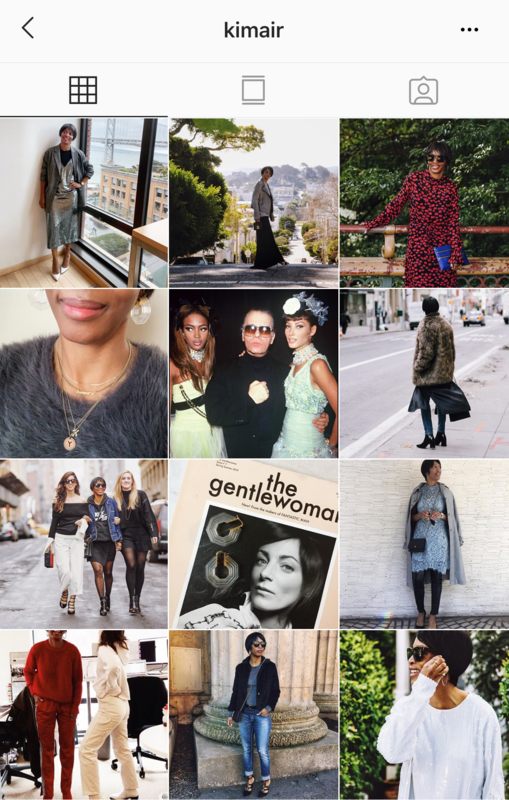 We love how her style spans the spectrum, from Target to Gucci. On her blog, EconomyofStyle.net, this researcher and educator says she wants to stimulate conversation about how to dress well on a budget. And on her feed she shows us exactly how, sporting smart-casual looks inspired by pricey designers but pulled off with clothing from affordable brands. Her signature accessories: a close-cropped natural and a million-dollar smile. A career coach and motivational speaker, Parker Walsh understands the importance of cultivating a professional presence and the value of personal style to help you achieve it. 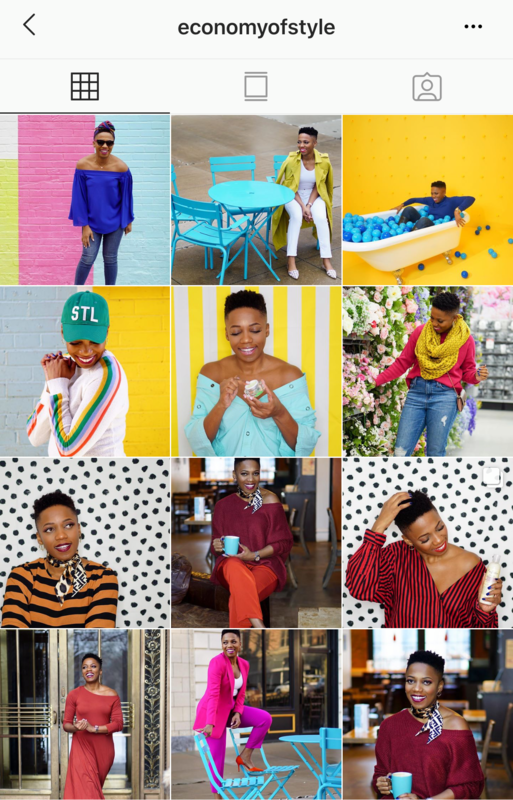 Appropriately, her feed combines motivational quotes with photos of her own work-appropriate looks, which rely heavily on vivid color and form-fitting plus-size styles, such as peplum tops and pencil skirts.